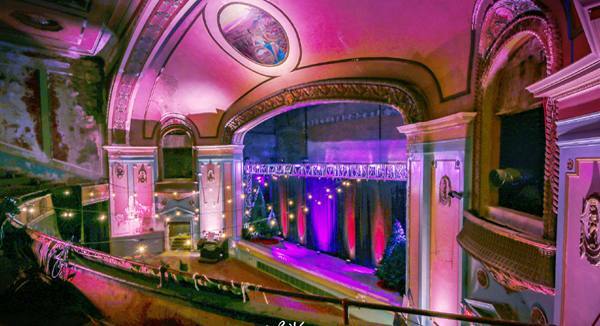 Several downtown Topeka businesses have partnered to bring “A Big Band Christmas” to the historic Jayhawk Theatre, 720 SW Jackson St., on Saturday, December 8, beginning at 7:00 pm. Topeka Swing Dance has collaborated with Jayhawk Theatre and others to present this special event, and there will also be a limited edition Jayhawk Theatre ornament created by Wolfe’s Camera Shop downtown, and sold as a part of the VIP package. Leaping Llamas and David’s Jewelers have contributed to the VIP ticket as well. Live big band Christmas music will be presented by 785 Big Band and Topeka Swing Dance. There will be a beginner dance lesson from 7:00 to 7:30 pm. The Celtic Fox and Hazel Hill Chocolate will also be part of this event, providing spirits and chocolate treats. A portion of each ticket sold goes toward the restoration of the historic Jayhawk Theatre to help bring entertainment to Topeka for years to come. For more information or to purchase tickets to “A Big Band Christmas” go to www.jayhawktheatre.org.